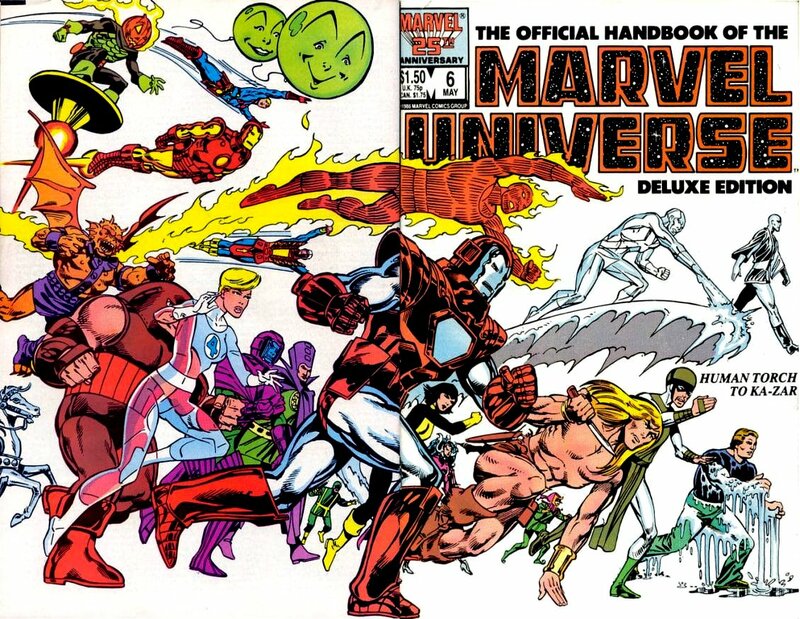 Click Here To See The Official Handbook of the Marvel Universe #6 Comic Book! 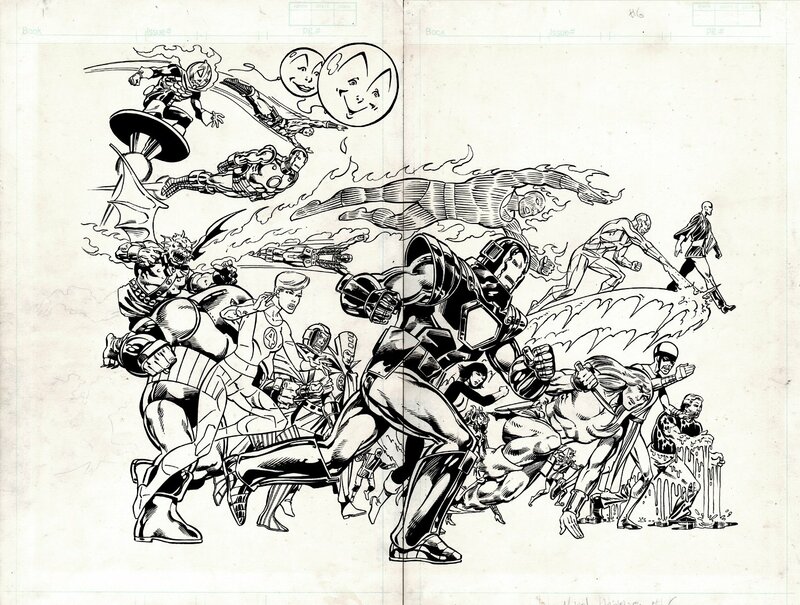 Check out this SUPERB WRAP-AROUND double cover, which was penciled by the great John Byrne, and inked by the great Joe Rubinstein, from the Handbook of the Marvel Universe #6 issue titled: "Human Torch Through Ka-Zar" This nice cover features 22 classic Marvel Characters running and flying, including: Human Torch, Hydra, Hydro-Man, Iceman, Ikaris, Immortus, Impossible Man and Woman, In-Betweener, Inhumans, Interloper, Invisible Woman, Iron Man I, Iron Man II, Jack of Hearts, Jack O' Lantern, Juggernaut, Kang, Karkas, Karma, Karnak, Karnilla and Ka-Zar! Just a great cover which was drawn on 2 separate 11 by 17 inch art boards and taped together from the back to form 1 very nice, very LARGE 22 by 17 onch wrap-around cover! Compare this nice cover art to the published comic book in the red link above! ALL art on our website (including this one) are able to be purchased with VERY fair time payments, and trades are always considered towards "ANY" art on our website! Just send us an email to mikeburkey@aol.com and we can try to work something out.